A young girl who never knew her father is given a chance to meet the aunt who raised him, a woman with a story of her own. World War II books: people can’t stop writing them, I can’t stop reading them. 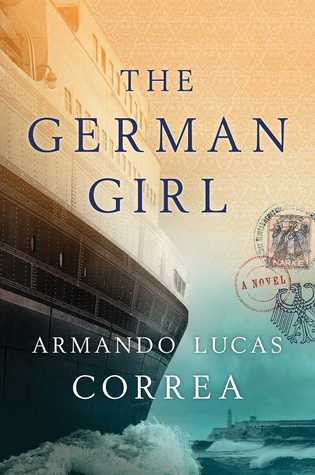 This one, however, fictionalizes a somewhat less well-known aspect of the Holocaust: the 1939 journey of 937 primarily Jewish refugees to Cuba aboard the St. Louis. Hannah Rosenthal is an eleven-year-old member of this voyage promised refuge in Cuba, and one of the very few who were not turned away at the last moment. Told from her perspective, combined with the voice years later of her niece, Anna Rosen, who has come to Cuba to learn about her father’s family, The German Girl is a compelling and sobering account of a little-known journey.